Iguanas, lizards, and snakes... oh my! Does your little rascal want to have some of nature's cold blooded friends at his next birthday party? Let your little one unleash his or her wild side as they interact with some of nature's creepy, crawly, slimy, and scaly creatures. Not only do your kids get to touch some of these otherwise undomesticated animals, but they also learn a thing or two in the process. 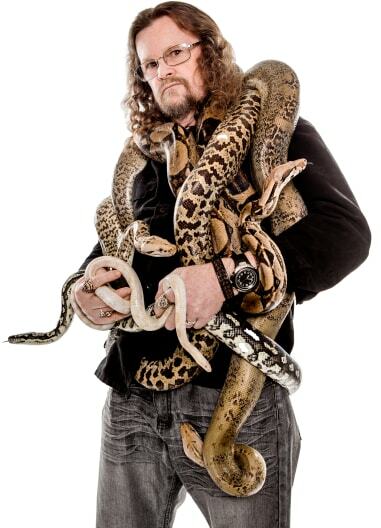 You could even bring the reptile show to an assembly to get an entire school involved! Educational entertainment that the kids WANT to participate in = win! Search for Reptile Shows in Portland, Maine above. Please note that these Reptile Shows may also travel to Peaks Island, Cape Elizabeth, Falmouth, Long Island, Mariner, Cliff Island, Cumberland, Cumberland Foreside, Chebeague Island, Cumberland Center, Yarmouth, Gorham, Newhall, North Yarmouth, Old Orchard Beach, Windham, Ocean Park, South Freeport, South Windham, Bailey Island, Bustins Island, Bar Mills, Freeport, Standish, Harpswell, Biddeford Pool, Pownal, Orrs Island, Gray, and Sebago Lake.